If you’ve visited Vancouver, chances are you’ve walked around Stanley Park’s iconic seawall, wandered around the market on Granville Island, snapped a photo of the old Steam Clock in Gastown, shopped on Robson Street and raised a glass in Granville’s entertainment district. 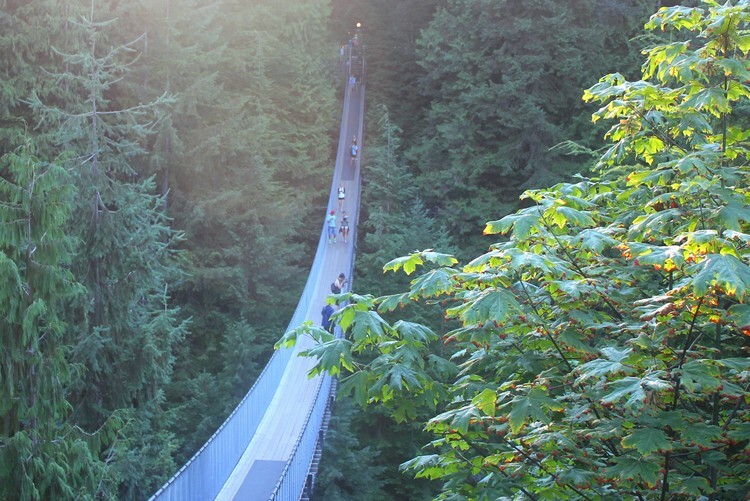 While there are countless things to see and do in Vancouver, there’s even more adventure waiting for you just outside the city limits (there’s good reason why Vancouver consistently ranks as one of the world’s most livable cities). As residents of North Vancouver, we’ve spent the past few years exploring our big, beautiful backyard. It’s been fun doing the research for this long overdue blog post! Today, we’d like to share OUR favourite day trips from Vancouver. It should be noted that you can easily convert some of these day trips into an overnight trip or weekend getaway. 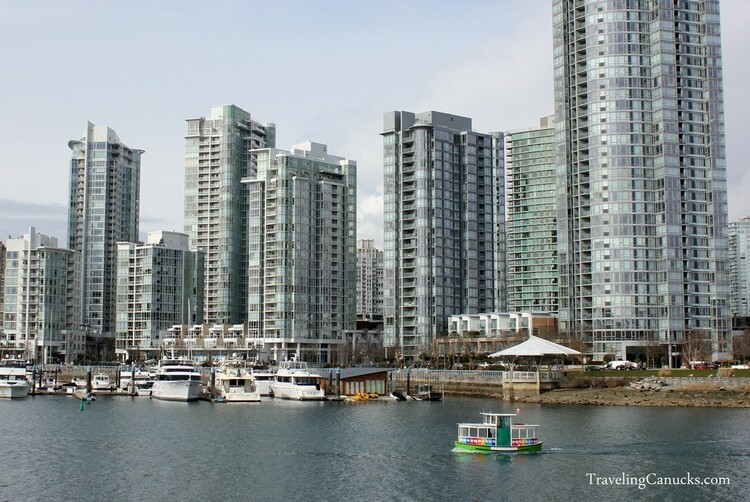 Read this post for the best road trip from Vancouver for first time visitors. We highly recommend going slow and spending quality time at each spot, but we’d completely understand if you wanted to see it all. We’re going to kick things off with our #1 recommended day trip, rather then saving the best for last. Located 125 km north of Vancouver (about 1.5 hour drive), Whistler is a four season resort town with more than 8,000 acres of terrain spread across multiple mountain peaks. Simply put – if you like adventure, Whistler has you covered. Whistler gained world fame in 2010 when it co-hosted the Winter Olympics with the city of Vancouver. Whistler consistently ranks as the top ski resort in North America and, in 2008, it introduced the world record-breaking Peak 2 Peak Gondola, completing the longest continuous lift system in the world. Over the past decade, Whistler has evolved to become one of the top summer destinations in Canada. 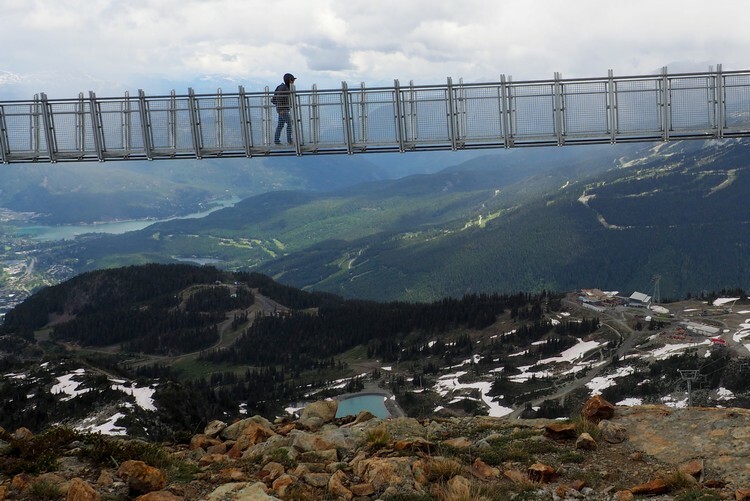 It boasts over 50 kms of high alpine hiking trails, multiple golf courses, epic zip-line courses, ATV and off road tours, paragliding and bungee jumping, nature and wildlife tours, summer bobsleigh at the Whistler Slide Centre, endless biking trails and several fresh water lakes. The Mountain Bike Park on Whistler Mountain has quickly become one of the best in North America and Whistler hosts several festivals and events each year, including the World Ski & Snowboard Festival in April and Crankworx Mountain Bike Festival in August. 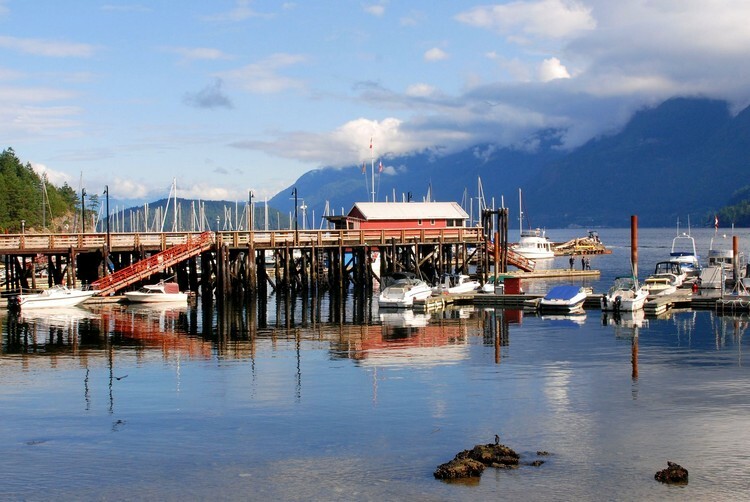 Another great day trip from Vancouver is Horseshoe Bay, the gateway to Howe Sound and the Sunshine Coast. It’s a small village and marina that’s located on the western tip of West Vancouver. It’s also the location of the third busiest BC Ferries terminal. 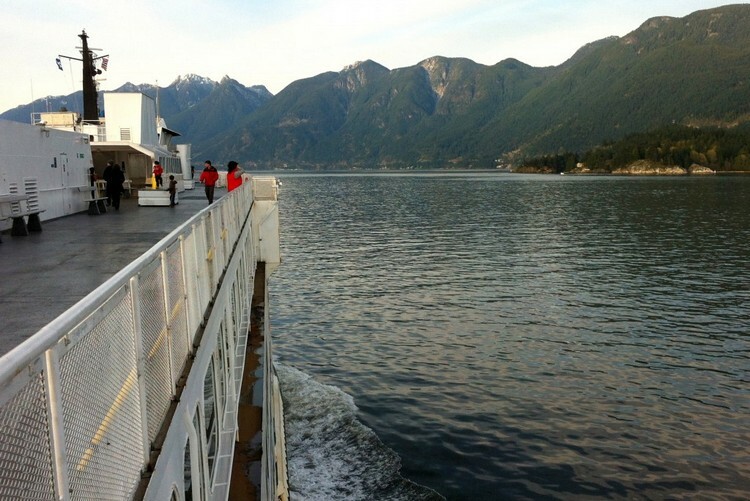 If you plan to visit Vancouver Island, Bowen Island or the Sunshine Coast, you will board your ferry at Horseshoe Bay. 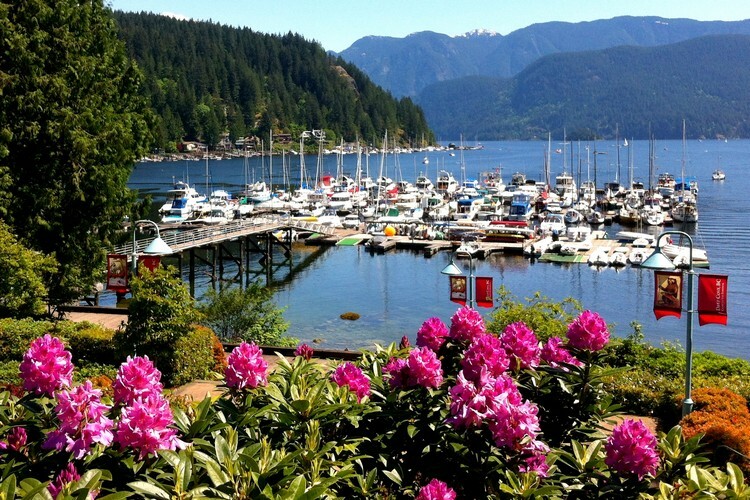 Even if you don’t plan to take a ferry, Horseshoe Bay is a fun place to have lunch and spend the afternoon. There are a few restaurants in the village, including the legendary Trolls Restaurant (get the Oyster Burger or Clam Chowder), and there is a rocky beach with a playground that faces the marina. After you visit Horseshoe Bay, check out nearby Whytecliff Park, one of the first Marine Protected Areas in Canada and a popular cold water scuba diving spot. If you have time on your drive back to Vancouver, visit nearby Lighthouse Park, located in a residential area in West Vancouver. It is a popular attraction and a National Historic Site of Canada. Search for hotel deals in Vancouver here. Howe Sound is network of fjords situated between West Vancouver and the Sunshine Coast, about 30 minutes northwest of Vancouver. This is one of the most beautiful areas in the Lower Mainland. If you’re looking for a unique way to experience BC’s endless natural beauty, driving a boat around Howe Sound should be on your list. 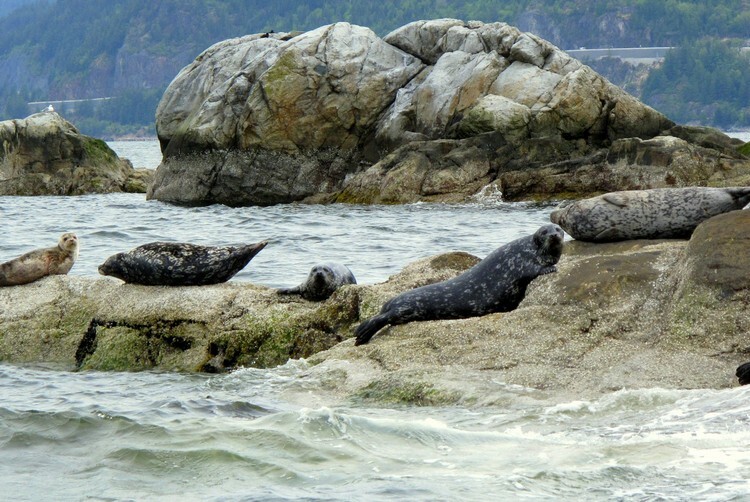 One of the things we like to do in Vancouver during the summer is to visit the lazy seals that hang out on Pam Rocks, a cluster of tiny islands located in the center of Howe Sound. The only way to see these small rock islands and its wildlife is by boat. Fortunately, one can easily rent a small motor boat from nearby Horseshoe Bay. The best place to rent a boats is Sewell’s Marina. Renting a boat is relatively inexpensive and you don’t need to have a special boat licence. A standard driver’s license is sufficient. For two hours of personal boat time (usually enough to get to the seal colony and back) it’s about $130-$150. The boat fits between 4-6 people. To visit marine parks and secluded coves that can only be reached by water, it’s wise to do the 4-hour rate and head to Gambier or Anvil Islands. Located approximately 25 km’s northwest of Vancouver, Bowen Island is a laid-back island that feels miles away from the hustle of the big city. The island is only 6 km wide and 12 km long, so you can easily explore the island in one day. Popular activities are kayaking, mountain biking, hiking and boating. The Snug Cove ferry terminal has a marina with small shops and restaurants. The most popular beaches on Bowen Island are Tunstall Bay, Bowen Bay and Sandy Beach. An easy scenic hike is the Killarney Lake trail. It takes about 2 hours round trip, covering 9 km’s. A more challenging hike is the summit of Mount Gardner. It takes about 7 hours, covering 17 km’s round trip. To get to Bowen Island, you take a 20 minute ferry from Horseshoe Bay in West Vancouver or take a 45 minute water taxi from Granville Island. Check with BC Ferries for sailing times. Although the Sunshine Coast may not always live up to its name (it’s located in the Pacific Northwest, after all), it’s a beautiful coastal area that stretches from Langdale to Lund, with many quaint communities in between. If you’ve got the time, this is a great place for a coastal road trip. Part of the fun is the actual journey to the Sunshine Coast. Most visitors will access the Sunshine Coast by ferry from Horseshoe Bay, but you can also catch a float plane depending on the time of year. The ferry ride and marinas are quintessentially West Coast. 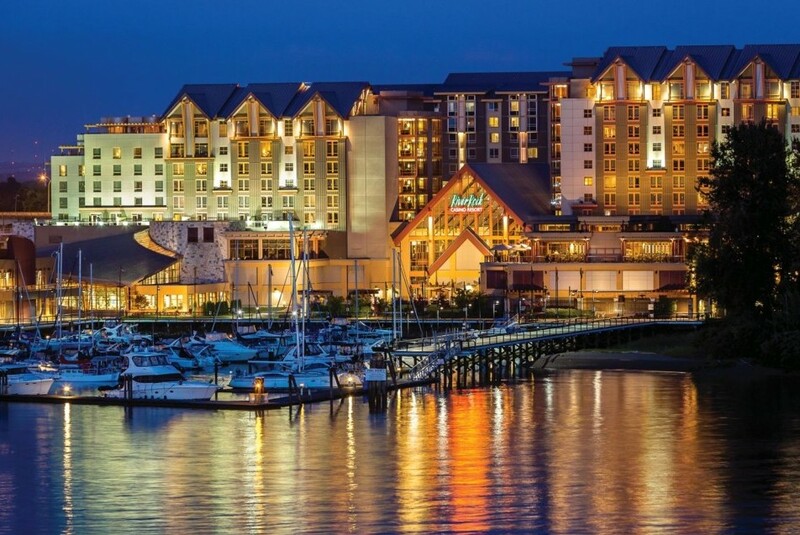 If you only have one day, you’ll want to focus your time on Langdale and Hopkins Landing. 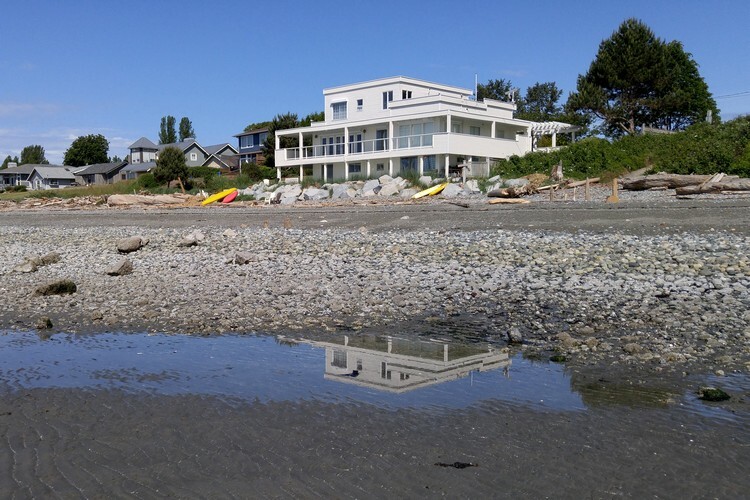 Hopkins Landing is a short walk from the Langdale ferry terminal and there’s a beach that overlooks the North Shore mountains. It’s a great spot for kayaking, swimming and beachcombing. Search for hotel deals on the Sunshine Coast here. 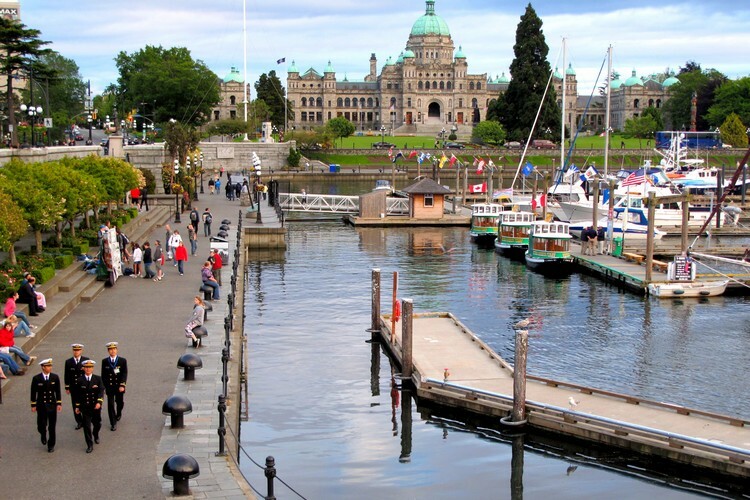 Located on the southern tip of Vancouver Island, Victoria is one of the oldest cities in the Pacific Northwest. Many people make the mistake of assuming that Vancouver is the capital city of British Columbia, when in fact it’s actually Victoria. Victoria is approximately 100 kilometers from both Vancouver and Seattle, making it the perfect day trip or weekend getaway for tourists and mainland residents (we try to visit Victoria at least once every year). While you technically can visit Victoria in one day, we’d recommend you give it at least one night. Maybe two or three. Most people will catch the ferry that departs from Tsawwassen BC Ferries Terminal, but you can take a bus from downtown Vancouver that will drop you off in downtown Victoria (ticket includes the ferry crossing). If you’re a first time visitor to Vancouver and you don’t have a vehicle, we’d recommend the bus option over renting a car and driving on the ferry. You can also take a float plane from downtown Vancouver, which is a lot of fun. If you’ve only got one day to spend in Victoria, the float plane is the fastest and most convenient option. The ferry option will take you at least 4 hours in each direction. Located about halfway between Vancouver and Whistler, the town of Squamish continues to build its brand as an outdoor adventure destination. It’s an easy drive from Vancouver and the scenery is outstanding. We could dedicate an entire blog post about things to do in Squamish. You can make several day trips from Vancouver to Squamish and still only scratch the surface. For the thrill-seeker, the rock climbing at the Stawamus Chief is world class and the Via Ferrata from the Summit Lodge is fun change of pace. If you prefer to get in the water, the Squamish Spit is home to some of the best windsurfing and kite surfing on the West Coast. There area also dozens of hiking trails and parks, including the family-friendly Four Lakes Trail and the full day Elfin Lakes hike. Other activities include a visit the West Coast Rail Heritage Park (home to the annual Polar Express experience), eagle viewing in Brackendale, golfing at Furry Creek, paddling and fishing on Alice Lake, white-water rafting down the Cheakamus River, shopping at the Squamish Farmers’ Market and brewery tours at Howe Sound Brewing. 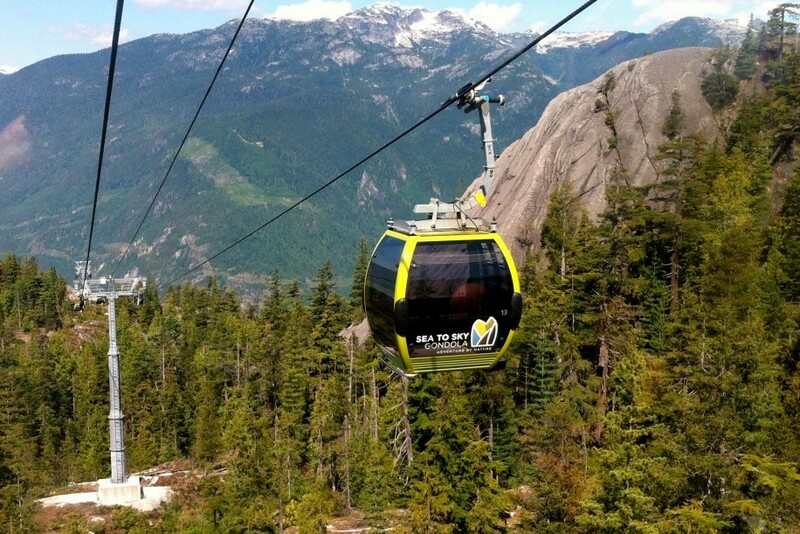 The newest attraction in Squamish is the impressive Sea to Sky Gondola, a 10-minute gondola that transports guests up the side of a mountain to a lodge that overlooks Howe Sound and the surrounding Coast Mountains. There are lots of things to do once you reach the summit. The Sky Pilot Suspension Bridge is a big hit and will surely give you butterflies in your stomach as it sways from side to side. There are multiple viewing platforms and several hiking trails for all skill levels. The Summit Lodge has an amazing patio, so if you’re not up for adventure, you can enjoy lunch with outstanding views. 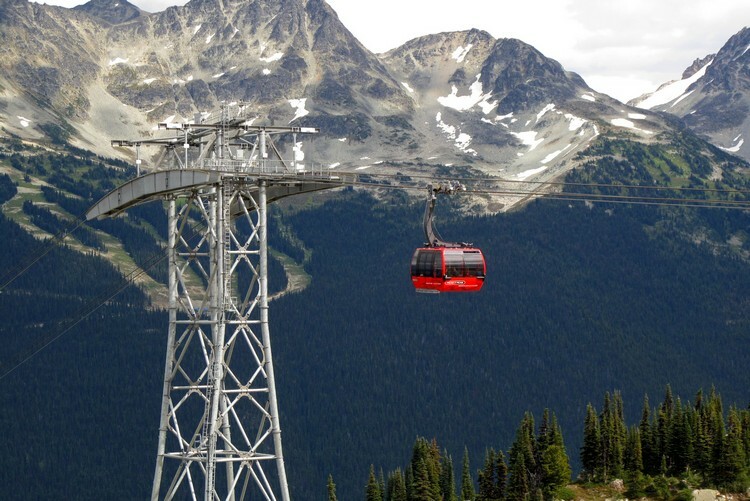 If you plan to visit on a weekend in the summer, make sure you arrive early because it’s become quite a popular attraction and Sea to Sky Gondola parking is limited. There’s overflow parking available across the highway from Shannon Falls Provincial Park (you should check out these falls if you visit the gondola). We’re told that there’s a free shuttle service on the weekends. Or, you can walk 15-minutes to the Gondola through the connector trail. The Britannia Mine Museum, formerly British Columbia Museum of Mining, is located in Britannia Beach, which is about 55 km kilometres north of Vancouver on the Sea-to-Sky Highway on Howe Sound. The Museum site itself is an exhibit – from historical machinery to heritage buildings to the massive yellow dump truck that lives within the facility. You can take an underground tour of the mine on an old mine train. The 45 minute guided tour gives you an understanding of what life was like as a miner back in the early 1900s. Our boys were quite young when we took the train tour (3 and 1 year old) and they had fun. You only need about 2 hours to explore the museum and take the mine train tour, so this is a good activity to bundle with a visit to the Sea to Sky Gondola or Porteau Cove (see item #10 below). If you like this type of attraction, you may also want to visit the train museum in Squamish. Porteau Cove is a small provincial park in British Columbia (about 50 hectares in size), situated on the most southerly fjord in North America. The park stretches between the shoreline of Howe Sound and the Sea to Sky Highway, about 20 minutes south of Squamish. 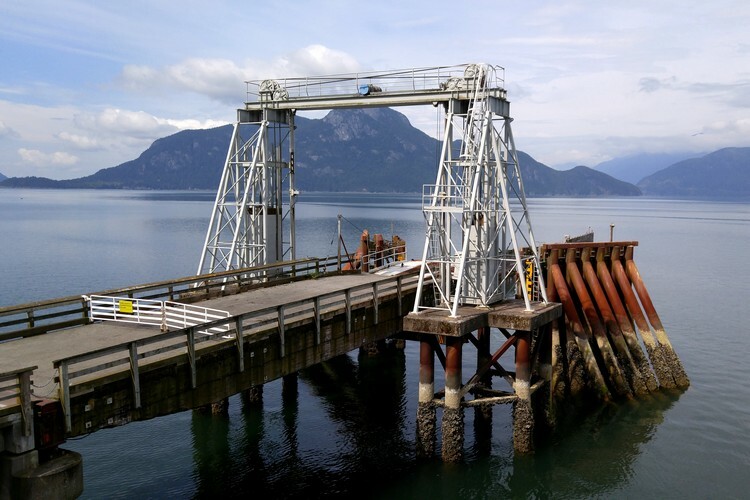 Aside from its rocky beaches and breathtaking mountain vistas, Porteau Cove’s star attraction the old ferry terminal that’s been converted into a pedestrian pier. It’s also a popular cold water scuba dive spot because it has a series of artificial reefs and two sunken ships. Garibaldi Provincial Park is a massive wilderness park located between Squamish and Whistler, about a 1.5 hour drive from downtown Vancouver. 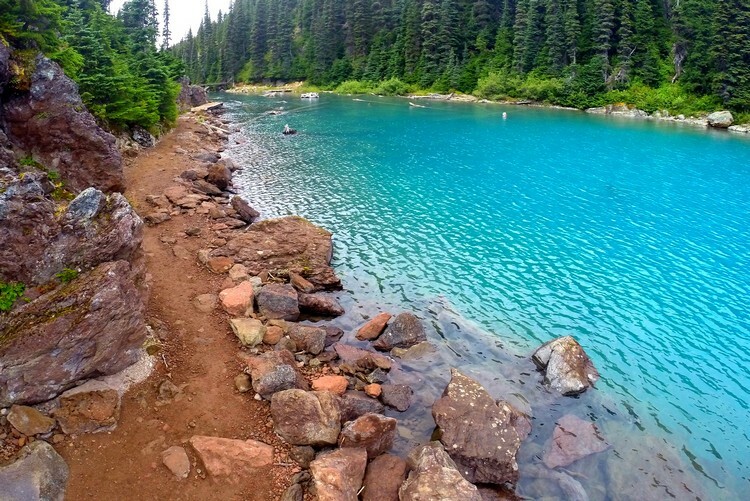 This beautiful park is best visited during the summer months, when you can hike the popular Garibaldi Lake trail. The park covers an area of over 1,950 square kilometres (753 sq mi) and is home to some of British Columbia’s most impressive hiking trails. There are five entrance points located along the Sea to Sky Highway. There are also several camp sites that are first come, first served. The most popular trails in Garibaldi Provincial Park are Diamond Head, Black Tusk, Garibaldi Lake, Wedgemount Lake, Cheakamus Lake and Singing Pass. If you’re looking for a full day leg burner, the Garibaldi Lake hike will do the trick. 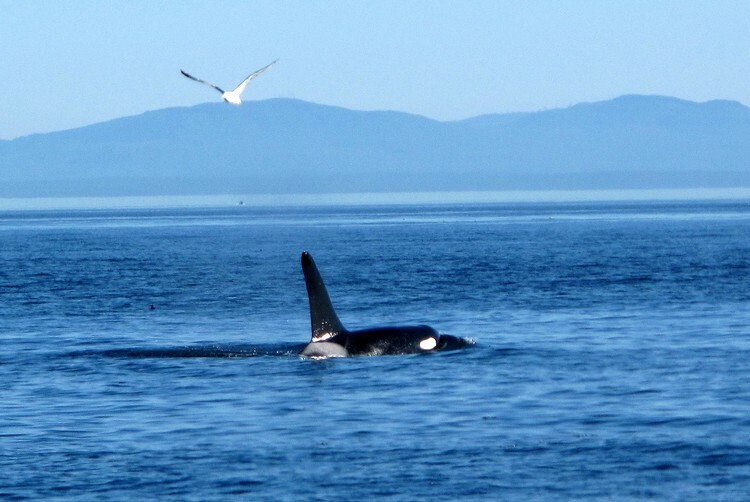 The Southern Gulf Islands, an archipelago of small islands located between Vancouver Island the Lower Mainland, offer some of the best spots to witness orca whales in their natural habitat. This is one of the best day trips from Vancouver, in our opinion. The best time to go whale watching is during the salmon migration in the summer months between May to October. Whales, sea birds and other marine animals are attracted to the area to feed, resulting in very strong success rate on many whale watching tours. There are plenty of whale watching operators based out of Vancouver that offer a variety of options, from 2 hour tours to full day excursions. 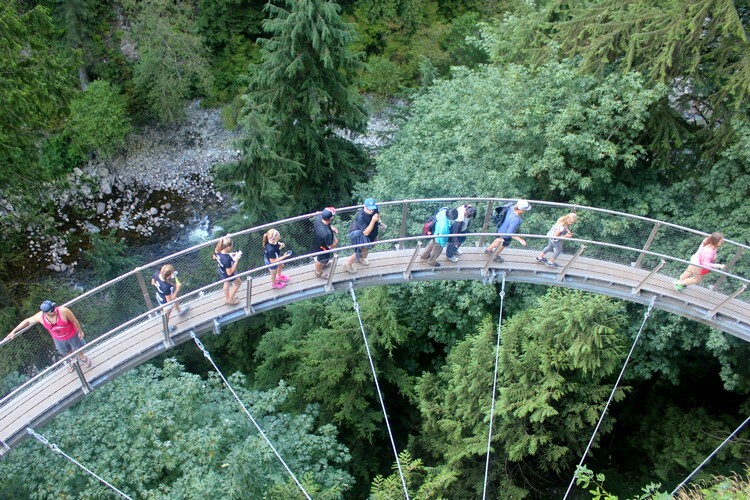 Located in the District of North Vancouver, near the base of Grouse Mountain, the Capilano Suspension Bridge Park is a fun and easy day trip from Vancouver. Over the years, the park has added several features to compliment its famous bouncing suspension bridge, including the recently added Cliffwalk experience. If you have time, try to squeeze in a visit to nearby Cleveland Dam. We love Deep Cove. It’s a quaint community in the easternmost North Vancouver, located at the entrance of Indian Arm It’s about a 25 minute drive from Vancouver. There’s a little village with a restaurants, shops and the infamous Honey’s Doughnuts (Vancouverites love these donuts!). 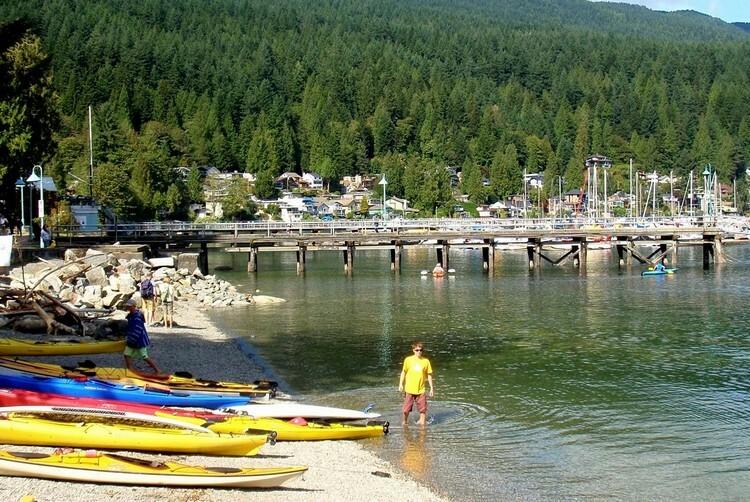 Deep Cove is known for its marina and kayaking. 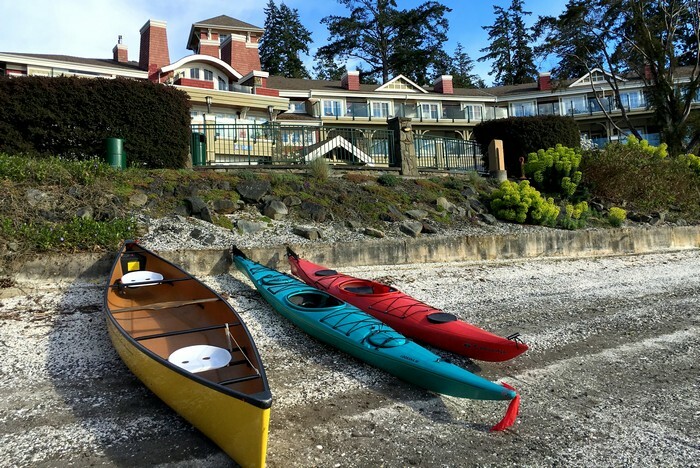 You can rent kayaks, stand-up paddleboards and surfskis from Deep Cove Kayak. This shop gets busy in the summer months, especially on the weekends. You’re best to make a reservation for equipment. Parking in Deep Cove can be challenging, so it’s wise to arrive early (before 9:00 AM). Another popular activity in Deep Cove is hiking to Quarry Rock. It’s an easy hike that takes about 1.5 hours round trip, so it’s an ideal day trip from Vancouver. The views from the top of Quarry Rock are fantastic. If you’ve got the stamina and the time, you could hike the trail in the morning, have lunch at Arms Reach Bistro in the village, then go for a paddle in the afternoon. Now that’s a perfect day in the Pacific Northwest! No trip to Vancouver is complete without a visit to the North Shore Mountains. The most popular and accessible mountains are Grouse Mountain, Mount Seymour and Cypress Mountain. All three mountains have ski operations in the winter, extensive hiking trails in the summer and facilities with restaurants. Grouse Mountain, the self-described Peak of Vancouver, is the most popular mountain for tourists. To reach the peak, guests take the Skyride tram to the top of the mountain. This is always fun for first timers, regardless of the season. 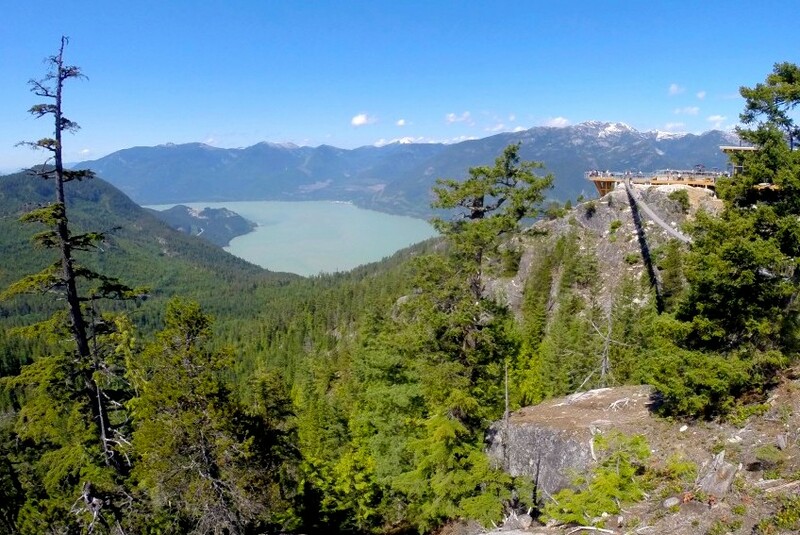 For the more adventurous type, you can hike to the summit via the Grouse Grind, also known as Mother Nature’s Staircase (it’s a 2.9 km trail that climbs 2,800 feet). Novice hikers should plan for roughly two hours to ascend the trail. The record is 25 minutes. 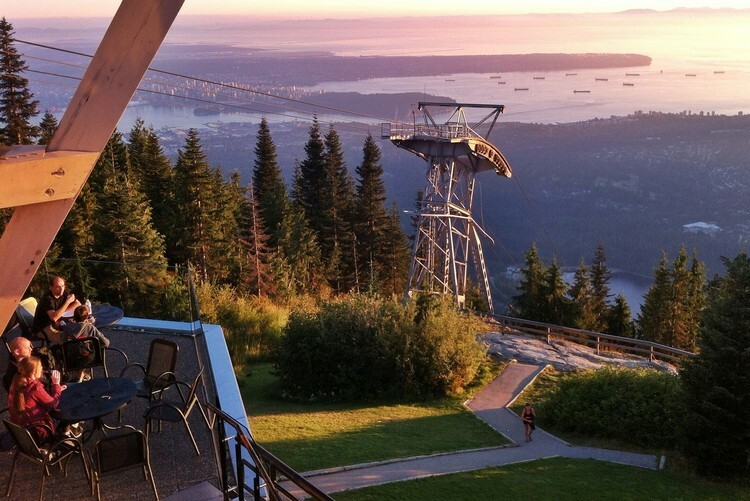 There are restaurants and cafes at the summit of Grouse Mountain, so if you’re not up for a strenuous afternoon you can simply enjoy the views with a cold beverage in hand. During the summer you can witness the Grizzly Bear habitat. Cypress Mountain is located in the southern section of Cypress Provincial Park. With over 240 hectares of skiable terrain and 53 runs, Cypress Mountain has the largest ski area out of the three mountains. It hosted the Freestyle Skiing and Snowboarding events during the 2010 Vancouver Winter Olympics. Mount Seymour is often overlooked by first time visitors to Vancouver because it’s the furthest away from the downtown area and it’s the smallest of the three local mountains. It’s more of a family mountain and has some of the best snowshoeing and nordic skiing trails on the North Shore. 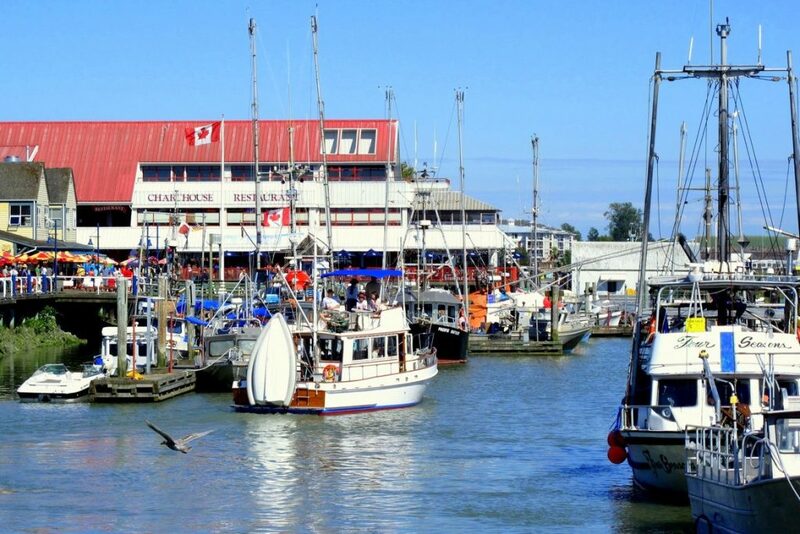 Steveston is a charming fishing village in south Richmond, located 20 minutes south of Vancouver. It sits at the mouth of the Fraser River and was once the largest fishing port and cannery centre on the West Coast. It’s also the departure point for many whale watching tours that explore the Gulf Islands and the San Juan islands (in Washington State). On a sunny afternoon we like to visit the village and indulge in fish and chips and cold beer. Then we like to walk along the pier to burn off lunch. The Gulf of Georgia Cannery (also known as the Monster Cannery) is now a National Historic Site, offering a glimpse into the history of the multicultural workers who kept the salmon canning lines moving in the early 1900’s. Steveston is an active fishing harbour so you can walk along the docks and purchase fresh seafood directly from the fishing boats. You won’t find better prices anywhere! The River Rock Casino Resort in Richmond is the largest casino in British Columbia, generating an average of 10,000 visitors per day. With the addition of the Canada Line SkyTrain, the rapid transit railroad system that connects Richmond to Vancouver, there’s now a train station located directly across from the casino, making it easily accessible from virtually anywhere in the city. The River Rock has a large theater that hosts a variety of entertainment acts throughout the year. If you like Vegas style entertainment you’ll enjoy an evening at the River Rock. Here’s the upcoming schedule at the River Rock Theatre. In the summer, the Richmond Night Market runs on weekends and close to the River Rock Casino. The Night Market features live performances, carnival games and over 200 retail stalls with over 500 food choices from around the world. Did you know that the Lower Mainland is home to several award winning wineries? You don’t have to drive all the way to the Okanagan Valley to enjoy wine tasting and winery tours. Chaberton Estate Winery is the oldest and largest winery in the Fraser Valley and the 5th largest in British Columbia. Other popular wineries are Township 7 Winery, Neck of the Woods Winery, Backyard Vineyards and the Fort Wine Co.
Langley is about a 45 minute drive from Vancouver, depending on traffic (afternoon rush hour can add 1-2 hours). If you plan to sample a lot of wine and don’t want to drive, you can organize wine tasting tours that depart from Vancouver and visit 3-4 wineries. It’s a fun day trip in the summer months. Located two hours east of Vancouver, just south of Chilliwack, sits Cultus Lake Provincial Park and its many family friendly attractions. 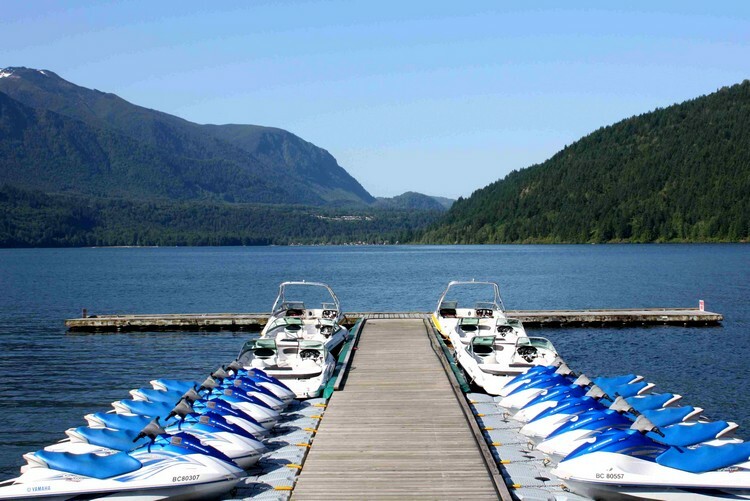 The lake, beaches and surrounding forests are fantastic, but what lures families to this area is the Cultus Lake Waterpark and Cultus Lake Adventure Park. The Adventure Park is British Columbia’s newest family theme park and home to the Fraser Valley’s only rollercoaster. It’s also home to Giggle Ridge Adventure Golf (18 holes of mini-golf), Bumper Boats, Prospector’s Peak and the Runaway Mine Train. Cultus Lake Waterpark has all kinds of water slides, wading pools and themed attractions. You could spend the entire day at this park alone. If you have younger children, check out Dinotown, a family theme park that has giant inflatable dinosaurs, live shows, dinosaur mini-golf, pedal cars, paddle boats and kids zip line. 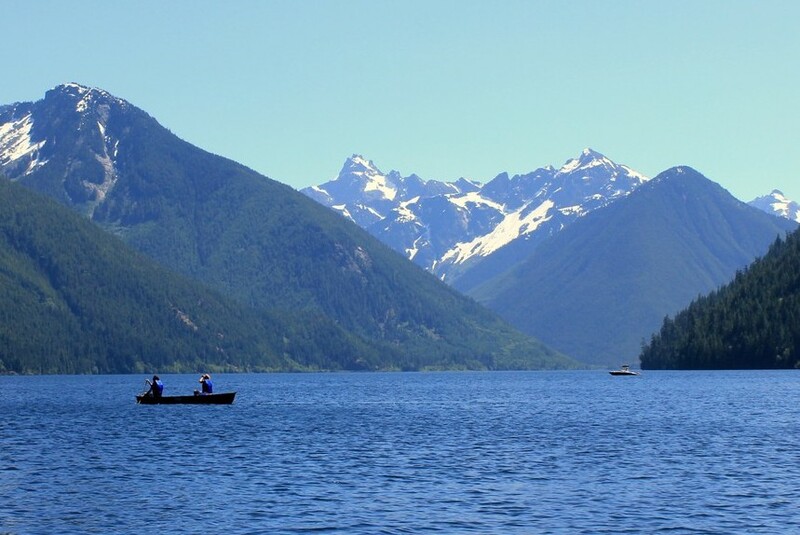 Chilliwack Lake Provincial Park is located 150 km east of Vancouver and 64 km southeast of Chilliwack (40km in from the Vedder Crossing). It’s a beautiful park surrounded by jagged mountain peaks and dense forest. There are several hiking trails, beaches, boat launches, parks and recreational facilities. This is a great spot to go boating, kayaking and canoeing. To get to Chilliwack Lake, take Exit 104 from Highway 1 (Trans-Canada Hwy) and follow the signs for Cultus Lake until you reach Cultus Lake Road. Instead of turning there, follow Vedder Road across the bridge and turn right onto Chilliwack Lake Road. Follow this road for another 40 km to the lake and campground – visit BC Parks website for up-to-date information. 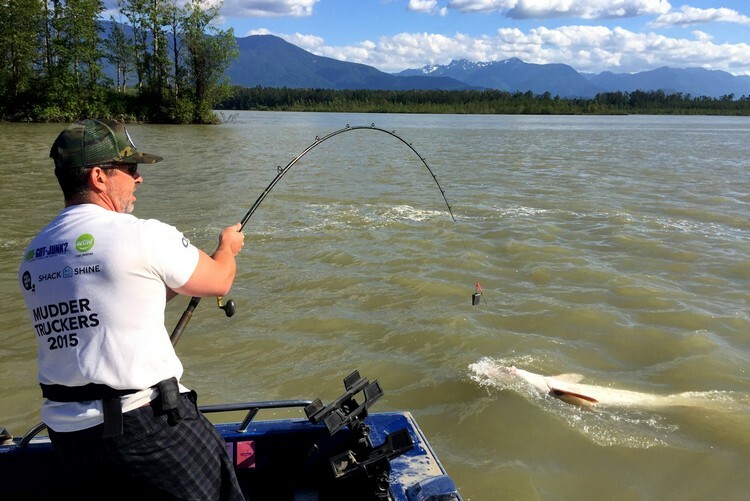 If you’re looking for a truly unique experience, you should try sturgeon fishing on the North Fraser River. Sturgeons date back to the Triassic period, some 245 to 208 million years ago. So, basically, these are underwater dinosaurs! Okay, not really. But some of these fish are over 150 years old and grow as long as 10 feet. You can take a guided tour that departs from Chilliwack and goes up the North Fraser River. The river is loaded with sturgeon and salmon. While you’re on the boat waiting for a fish to bite, it’s common to see sturgeon breach along the river. On our trip, we witnessed about a dozen sturgeons jumping out of the water. It’s quite the sight. Chilliwack is about a 2 hour drive from Vancouver, depending on traffic. The fishing tours take between 6 to 8 hours, so this is a full day excursion. Here’s the company we went with. Harrison Hot Springs is a resort community known for its hot springs and picturesque lake and mountain landscapes. It’s located about 2.5 hours east of Vancouver. The Harrison Hot Springs Resort is one of the main attractions, with its 5 hot spring pools, Healing Springs Spa and four restaurants. There’s more to Harrison Hot Springs than its soothing hot spring pools. The lake offers every kind of water sport you can imagine, from kayaking to boating to the floating waterpark. It has a beach, waterfront parks, golf courses and several hiking trails. While you’re in the area, check out Bridal Veil Falls Provincial Park and its beautiful cascading waterfalls. The park entrance is located just off the Trans-Canada Highway and it’s only a 10 minute hike to the waterfalls, so this is an easy pit-stop that will only take about an hour. During the summer, you can also visit Bridal Falls Waterpark. It’s a smaller waterpark (when compared to the Cultus Lake Waterpark), but it boasts heated water and plenty of kiddie slides and water play areas. The Gulf Islands are located in the Strait of Georgia (also known as Salish Sea), between Vancouver Island and the mainland of British Columbia. The most popular islands are Salt Spring Island, Galiano Island and Pender Island. The Gulf Islands are so peaceful and relaxing. You feel like you’re a world away from Vancouver, yet they’re less than 100 kilometers away. You can reach the Gulf Islands by ferry, but that will end up being a very long day trip if you plan to return to Vancouver in the same day. You are better off spending a night or two if you plan to travel to the islands by ferry. Alternatively, you can catch a short float plane ride from Vancouver. Weather can/does impact flights, so you will need to have a Plan B if your flight is canceled or delayed due to severe fog or rain. You should be fine in the summer months, but winter can be hit and miss. 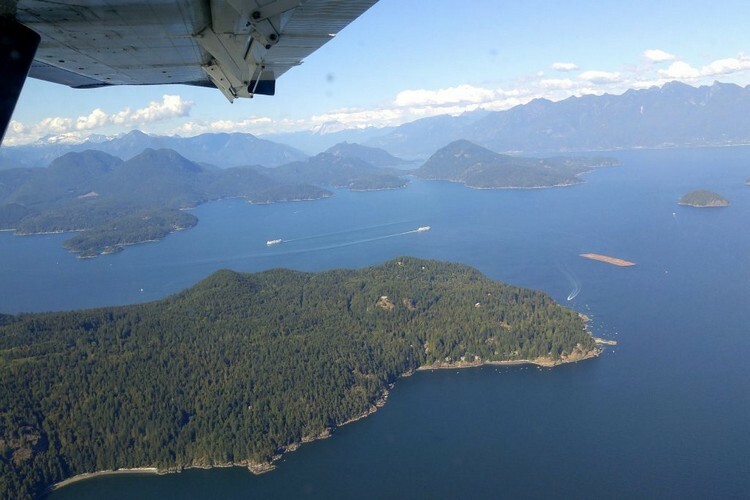 The float plane to the islands is half the fun, as you can see in this short video we captured while flying over Howe Sound and the Northern Gulf Islands. 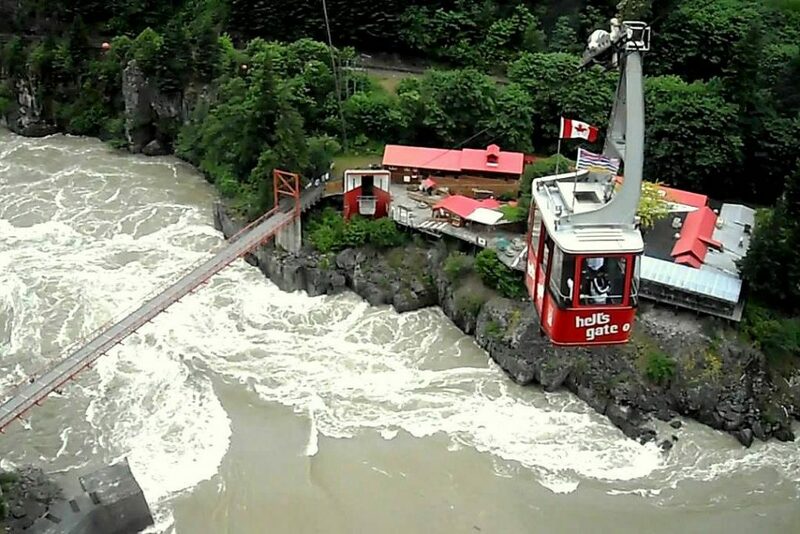 Hell’s Gate Airtram is a gondola that transports guests across the powerful Fraser River, descending past steep and jagged rock walls. It’s one of the steepest fully suspended trams in North America. Once you reach the bottom of the Airtram you can walk across a suspension bridge and snap some photos from the observation decks. The Hells Gate Airtram is located just south of Boston Bar, which is about 3 hours east of Vancouver along the Trans-Canada Highway. If you like white water rafting you might want to include a half day excursion down the Fraser River. There are a few rafting companies in the area – Fraser River Raft Expeditions and Kumsheen Rafting (about 45 minutes north of Hell’s Gate). Point Roberts is close in proximity to the skyscrapers of Vancouver but its chilled out vibe makes you feel as if you’re hundreds of miles away from the big city lights. In fact, I don’t even remember seeing a traffic light in Point Roberts? Yes, Point Roberts that kind of place. Small, friendly, safe and quiet. There are lots of things to do in Point Roberts, like biking, hiking and beach combing, but the most common activity is doing nothing. By that, I mean waking up in the morning with no agenda and letting the mood dictate how your day will play out. There are only a few restaurants in Point Roberts and some are seasonal, so it’s wise to check hours of operation ahead of time. The beaches in the Pacific Northwest are different from those found in the south or in tropical climates. They are not made of soft white sand that feels silky smooth on your feet. They are quite the opposite, actually. The beaches in this part of the world are rocky, rugged and filled with driftwood, sea shells and coarse sand. At low tide, the ocean floor is exposed and a world of treasures is revealed. Note: Point Roberts is located in the United States, so you will need a passport to cross over the Port Roberts border. Pick up & return your vehicle at the Vancouver airport. Save up to 35% on car rentals here. If you visit during winter, make sure you have snow tires for the mountain drives. Check the Vancouver weather forecast before you depart on your day trip from Vancouver. The weather in British Columbia can be unpredictable. What Vancouver day trips will you do? Share your feedback and recommendations in the comments section below. Amazing Capture.Great photos, Your 25-day trips so wonderful, There best Idea is fishing, I love fishing. That is my favorite habit. A traveler wants idea for any traveling. I think your idea and trips are very helpful. Thanks for sharing your great experience. Really nice post and a complete package. Vancouver is truly picturesque and amazing! I would love to visit it soon and enjoy these day trips! Do you have any tips for visiting the Britannia Mine Museum? Truly an amazing place for a vacation getaway . Thanks so much for all of the detailed info! We’re headed there this summer! Lots of great information thanks for sharing . I’m think of going in September for 6 nights in Vancouver so hopefully can see quite a bit. Is there a local bus to Squamish to see sea to gondola. How faar are the other mountain points from grouse mountain. Can you get to chillwick by local transport. Vancouver is truly an amazing place. Lot’s of fun things to do with the whole family. 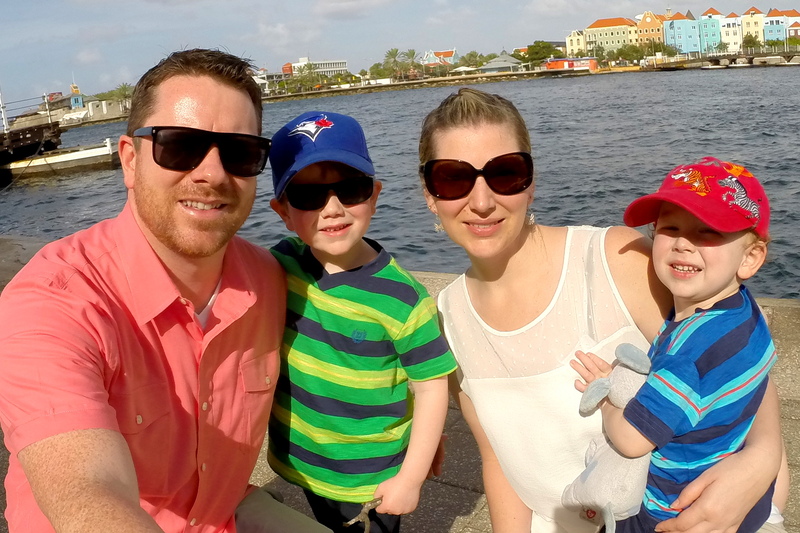 This is a fantastic list and one that finally has me sorted for the itinerary for our upcoming Canada trip! Thanks for the effort in putting this together and some great photos. We just went to Harrison hot springs on Saturday and the hot springs are not accessible if you’re not a guest at the hotel. That is what the gentleman working in the reception said. I wanted to visit Vancouver for a long time now and my friend suggested that I visit the hot springs so maybe I’ll go on and visit that this summer. Your explanation of the sight seeings near Vancouver is so detailed with beautiful photos. Thanks a lot. It helps me to make a five-day tour plan in the summer.